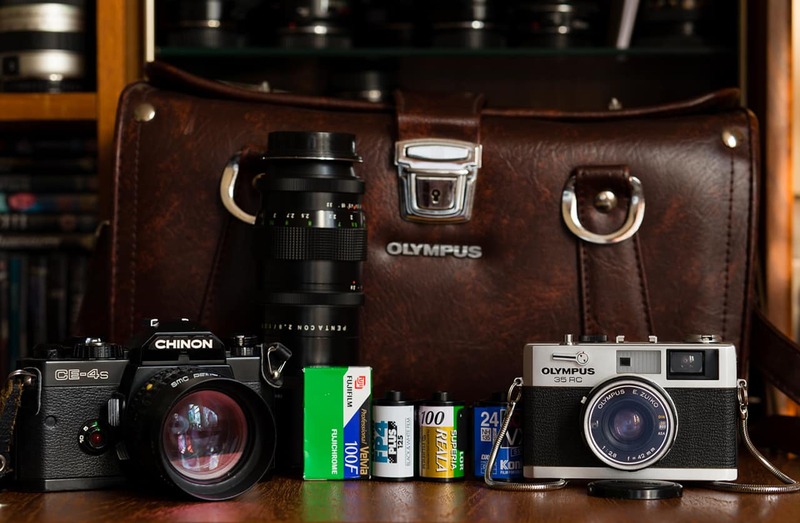 Not only is todays bag simple, but the owner has a very simple project that he uses this kit for. 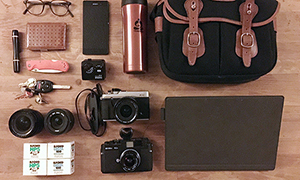 Come and have a look inside the bag of a one camera project. 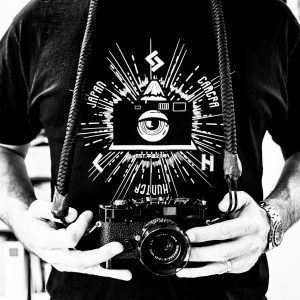 I´m Zeno Felkl, a 49 year old amateur photographer from Germany. 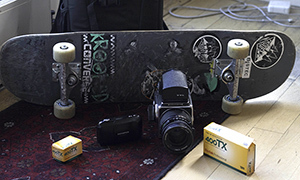 I started shooting in 1979 and I´m a user/collector with way toomany cameras. Look here: http://classicameras.blogspot.de/ to see what I mean. 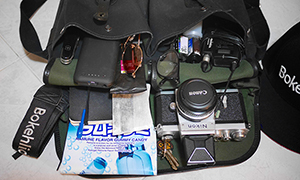 My bag is a messenger bag which is big enough to carry my Macbook, the lunch and all I need for work and my cameras. My recent user cameras are small (I really like small and light cameras! 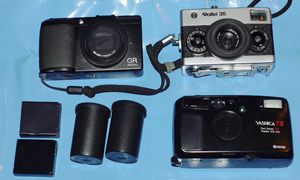 ), the Rollei 35, Singapore model with the Tessar 3,5/40mm, the Yashica T5 with a Tessar 3,5/35mm and the Ricoh GRD III with it´s 28mm lens. 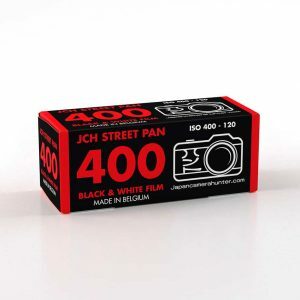 I load the Rollei and the Yashica with Polypan F, a 50 ASA cine copy film that is sold in 90m and 152m rolls. I develop in APH09, 1+100, one hour stand. http://rollei35andpolypanf.blogspot.de/ that has turned in an open end project after the first year. Thanks for sharing your bag with us Zeno. I love the simplicity and the sound of the Polypan film. I certainly want to get some of that. Really nice setup! My uncle recently gave me his Rollei 35 and I have to say it is quite a fun little camera that certainly delivers the goods. Andy, to use a camera from a family member doubles the fun! A Rollei 35 is definitely a tool to be used over generations! Nick, I used a flash in the rolls 286 and 287. It is a no name flash I once aquired with some other gear. It has the size of the Rollei, but it is designed vertically. My personal opinion is, that no flash looks good when it is directly mounted under a Rollei 35. If I would do flash photography more often, I looked for one of the Rollei flashholders that attach the flash to the side of the body. Zenos website shows very interesting shots. Especially the b/w ones. Zeno, would you mind to tell us a bit more about your intention? Tolle Fotos auf Deiner website, Zeno. Mir sind die inhaltlichen(!) Zusammenhänge noch nicht so ganz klar…. Worum geht es da genau? Sorry, I had to write a bit in german. My english isn’t good enough. 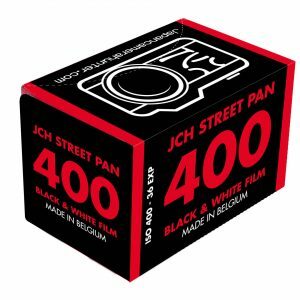 If your question refers to my Rollei/Polypan blog, the intention was to see what could be done with this camera/film combo and to reduce the gear. The connection between all pictures is my person. There is no target to reach, only the way is documented. Fall sich Deine Frage auf den Rollei 35/Polypan blog bezieht, so war meine Intenton, festzustellen, was sich mit dieser Kamera/Film-Kombination alles machen lässt (und eine Entwöhnung vom technischen Ballast). Die Verbindung zwischen den Bildern ist meine Person. So gibt es mit diesem Projekt kein Ziel zu erreichen, nur einen Weg zu dokumentieren. 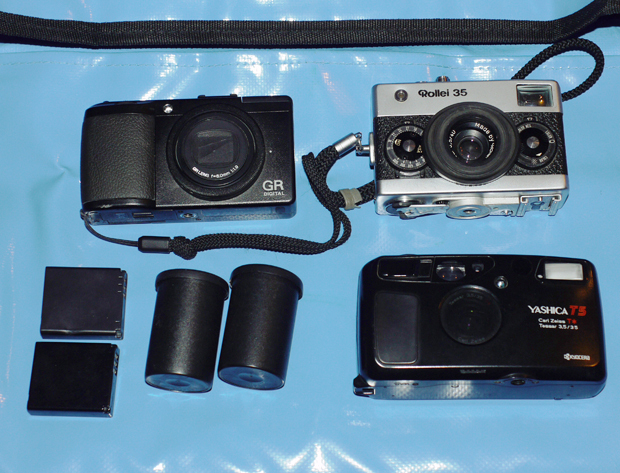 There’s a great set of cameras ‘in your bag’ , I’m inspired to get my Rollei 35 LED out of retirement in my bottom draw. 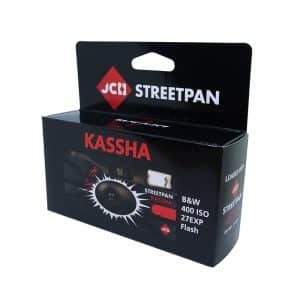 Brilliantly engineered camera’s and always a delight to use. Paul, the 35LED is a great camera and a bit underrated in the Rollei 35 world. I like the rendering of the Triotar very much. 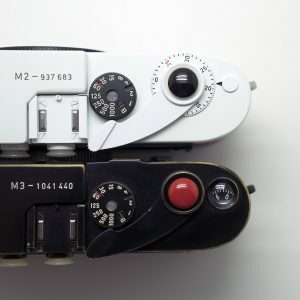 Heinz Waaske, the inventor of the Rollei 35 is a hidden genius in camera engineering! Do you print your own work (from a darkroom) as well as develop them or just scan? The image of the crack in the wall under roll 284 is amazing, it looks like a night shot into space. I can’t stop looking at it. Gil, thank you for your kind words! I don´t do wet printing. I scan my negatives with a Canoscan 8400f and I try to do only a little PP, mostly dust removal and some curves adjustment. Seldomly I decide to darken some parts to concentrate the view to one subject.